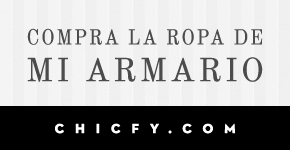 Algo Para Ponerme by Marimi: New Post: Summer Looks!! 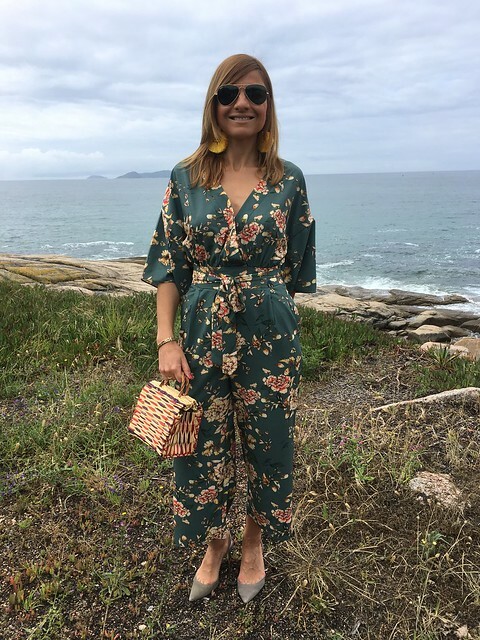 Hoy os he colgado un post con tres looks diferentes, perfectos para lucir este verano!! 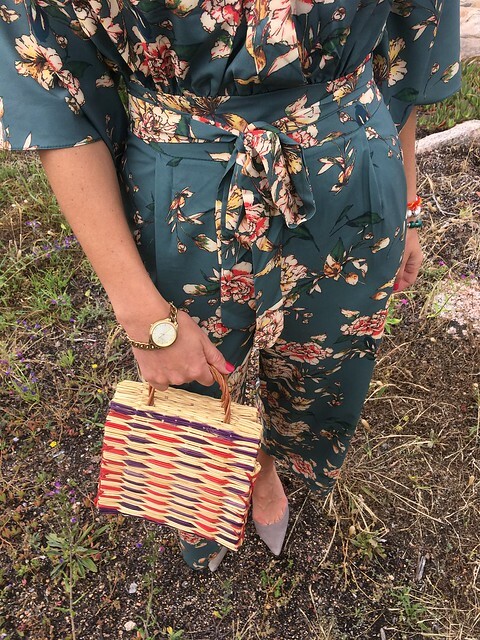 El primero de los outfits os muestro mi nuevo mono de estampado floral de SheIn. No me he podido resitir y el sábado lo estrené aunque el tiempo no acompañó. Lo combiné con stilettos grises y mini capazo multicolor. 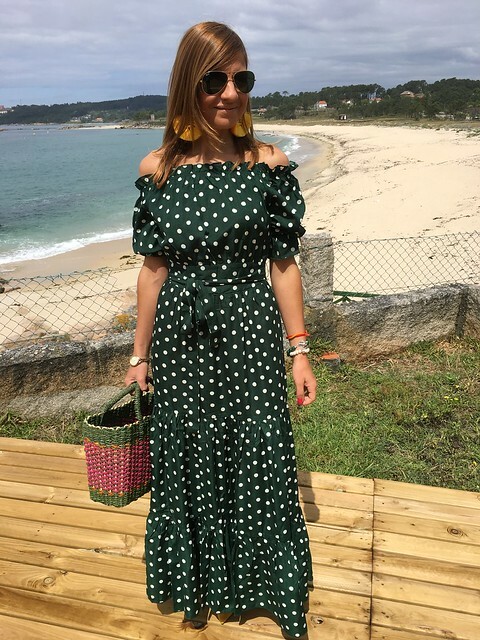 En el segundo look, combiné este precioso vestido verde de lunares de SheIn con zapatos amarillos y capazo verde y rosa. Para completar el outfit pendientes de flecos amarillos!! Today I´m publishing a post with three different looks, perfect to wear during summer!! 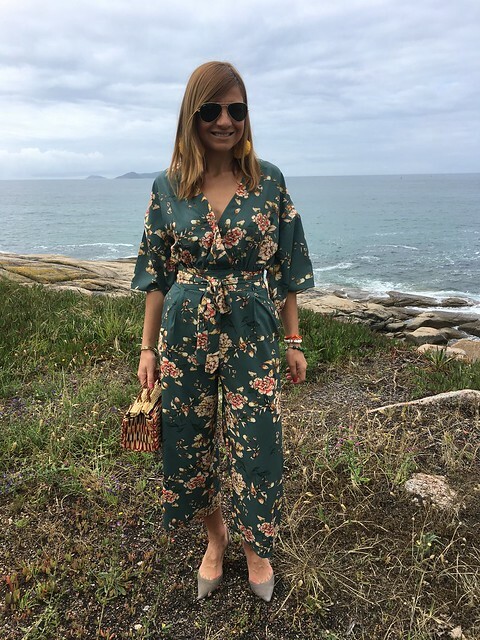 The first outfit shows my new flowery overalls by SheIn. I have not been able to resist and I wore it for the first time last Saturday although the weather was a bit bad. I have combined it with grey stilettos grey and mini wicker basket. 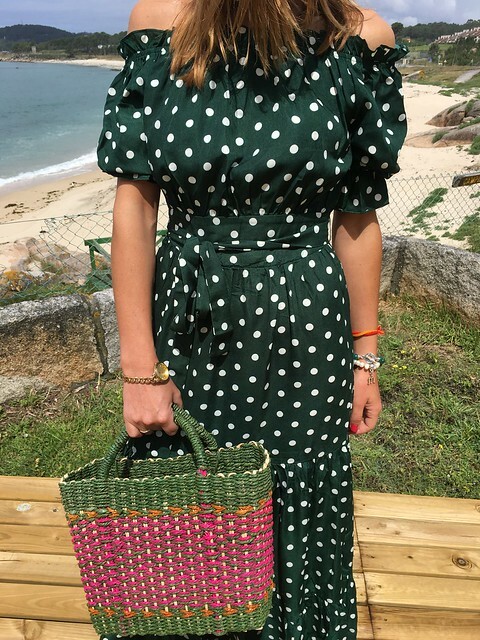 In the second look, I have combined this lovely green polka-dots dress by SheIn with yellow shoes and green and pink wicker basket. To complete the outfit my new earrings with yellow fringes!! 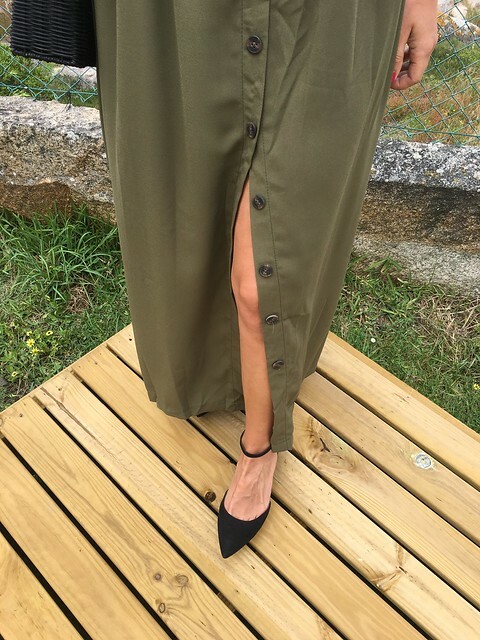 In the third outfit, I have combined my new military green by Shein with black shoes and a black raffia bag. A simple and ideal look. Te veo muy bien en estos nuevos looks, si puedo elegir opto por el vestido de lunares. Guapisima con todos los looks!